At the heart of Clover Hill Community Primary School lies a learning community that embraces opportunity and allows every child to reach for the stars and shine. Children given the tools for economic well being. Clover Hill Primary School reflects true British values in all that we do. We encourage our children to be creative, unique, open minded and independent individuals, respectful of themselves and of others in our school, as well as in our local community and the wider world. The breadth and balance of our curriculum and ethos promotes life in modern Britain. We work hard to nurture our children on their journey through life so they can grow into safe, caring, democratic, responsible and tolerant adults who make a positive difference to British society and the world. Our PSHE, Citizenship and SMSC work adds a valuable dimension to all of this work. We teach pupils how they can influence decision making through the democratic process by giving them opportunities to vote on key decisions that affect them. For example, pupils select pupil voice representatives for our School Council through a democratic vote. 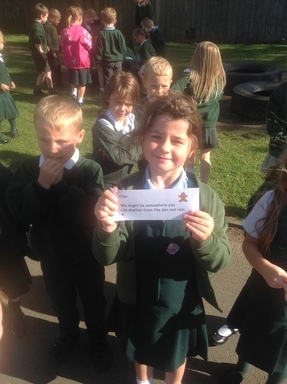 Pupil voice extends to the whole school when we play an active part in improvements to our community. We model how a perceived injustice can be challenged peacefully through adult interactions with pupils, use of our behaviour policy and through discussions of pertinent scenarios in class and assemblies. Children are given the opportunity to feedback to school leaders through annual pupil questionnaires. We firmly establish how pupils can distinguish between right and wrong, both through everyday interactions with pupils as well as in sharing stories, fables and other literary materials used in PSHE and literacy. We help children to respect the law and the basis on which it is made by showing how rules help communities to operate safely and fairly as well as protecting the most vulnerable in our society. Children develop their own code of conduct through their Class Charters which are based on the UNICEF Rights of the Child. These detail both their rights and responsibilities in operating within the code they have devised. Children adhere to many key school policies, respecting their purpose in ensuring they remain safe and happy in school (e.g. behaviour policy, health and safety policy, attendance policy). Our RE curriculum provides rich opportunities for children to learn about and develop an appreciation of the principles and beliefs of those of different faiths around the world. Learning is often supplemented by visitors to our school who follow these faiths and through our assembly themes which are linked to the key festivals of different faiths. We pride ourselves on modelling positive relationships for our children. Children actively support a wide range of different charities- not only through fundraising but a real appreciation of the work the charity is needed to do. Our children get involved in a wide range of activities to support and appreciate the older generations in our community: Poppy Parade, Singing at a local nursing home, inviting Castle Close to watch our nativity. Our children are inherently tolerant and respectful of each other and adults in our school. They are polite; they are self-sufficient when solving minor disputes and they give unending support to each other. (This is often evident in the care and concern they show to each other when they are upset or ill). We challenge any prejudicial or discriminatory behaviour through discussion and use of illustrative material in assemblies and lessons. We discuss the differences between people and their beliefs – for example, differences in faith, ethnicity, disability, gender and difference in family situation – through our RE and PSHE lessons and our broader curriculum work. In this, we seek to enhance our pupils’ understanding of their place in a culturally and racially diverse society. We implement a strong anti-bullying message and hold a themed anti-bullying week every year. Pupils are encouraged to know, understand and exercise their rights and personal freedoms safely – for example, through our E-Safety lessons in computing and in PSHE lessons.